U.S. News named Sonata the No. 1 Midsize Car in the nation for 2014, a well-deserved title that the sedan has won based on factors like its performance, efficiency, list of technologies and stylish looks. Following a recent round of upgrades, it's a "particularly enticing" choice over the competition, according to Edmunds' 2014 Hyundai Sonata review, and shoppers in the Dallas area will agree. GLS, SE and Limited trim levels are still offered, along with the popular Sonata Hybrid. This year, SE models equipped with the 2.0-liter turbo engine receive a sport-tuned exhaust, while Limited trims gain a Blind Spot Detection System. All models show off a revised grille design and new 17- or 18-inch wheels. All other standard base features carry over from last year, including Bluetooth phone/audio, a trip computer, heated mirrors, power accessories, the BlueLink-powered Assurance Connected Care system, iPod/USB/auxiliary jack connections and more. 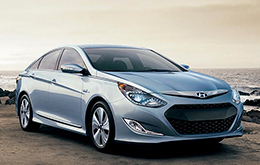 Residents in north Texas can find the 2014 Hyundai Sonata for sale in Carrollton, TX now. Visit for a test drive today and try out the 2.4-liter four-cylinder, turbocharged 2.0-liter four-cylinder or super-efficient hybrid powertrain. No matter the engine, Sonata offers impressive efficiency across the board, along with zealous acceleration and an overall fun-to-drive performance. Continue reading our Hyundai Sonata review below for more details about the car, including fuel economy, cabin space and other useful vehicle specs. A video tour is also included at the bottom of the page. Once you've had a chance to browse our review, stop by to test drive the 2014 Sonata and Sonata Hybrid at our dealership in Carrollton, which is conveniently located off the I-35 near Belt Line Road. Compare the 2014 Hyundai Sonata alongside vehicles like the 2014 Mazda 6, Ford Fusion, Toyota Camry, Nissan Altima and the Kia Optima, and we're sure you'll see that the Sonata trumps the competition in a multitude areas. 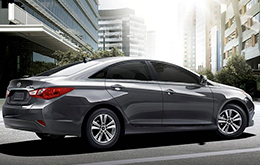 With convenient cabin features and an splendid design, shoppers will love the Sonata. When comparing its price to the forementioned vehicle options you will easily see that Dallas Hyundai customers select it because it's a fabulous value. Find even more details; see our quick-facts list for the Sonata - bullets under this paragraph. 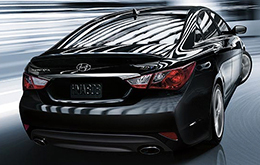 Van Hyundai is your source for 2014 Sonata reviews and car comparisons. Don't stress out over your next purchase; look to the reputable Hyundai retailer in Dallas for thoroughly researched reviews written by industry specialists. Once you start reading, you'll find that this article is jammed with vehicle specs in a layout that's easy to read. Use it to get the info you need to make an informed purchasing decision. Not sure if the Sonata? is right for you? Check out our online research index to read more Hyundai reviews and to compare Van Hyundai's models to vehicles from other manufacturers.